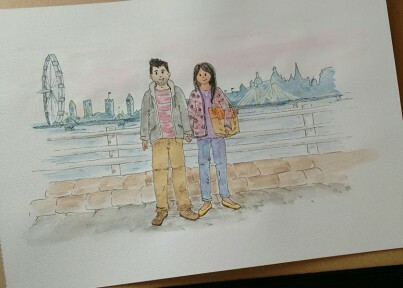 A Personalised Portrait in watercolour that is made to order for a unique and customised gift. 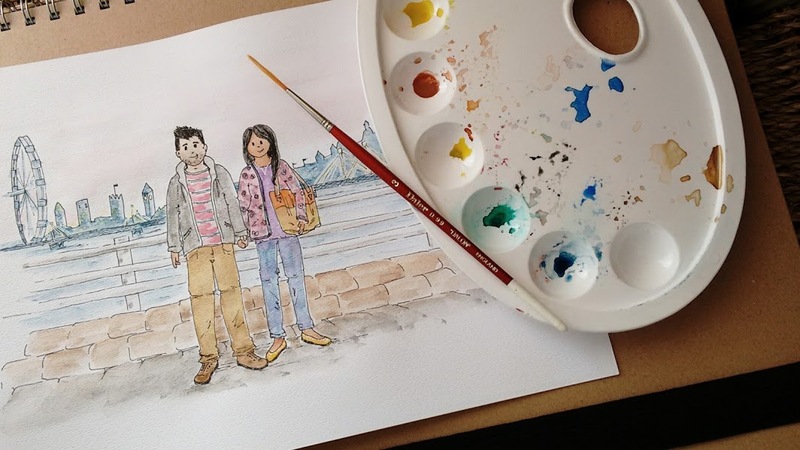 This handmade Original Artwork is painted onto heavy watercolour paper, using Watercolours and Inks. The portraits are designed as 10 x 8” and look fabulous mounted in a 12 x 10” frame. Further sizes are available – especially useful for large groups. They make fabulous memento gifts to celebrate Special Occasions, Engagements, Weddings, Births, Christening Gifts, Anniversaries, Birthdays, Christmas or just to treat yourself and your family. Photographs can be sent via email – to show people, sizes and heights, cars, vans and houses, (preferably from the front so I can get all the detail), pets and such. 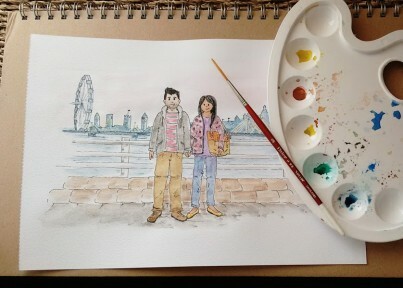 I will then put all this together and create an individual watercolour just for you. I sign each original artwork on the front as Sandra Lynne with the year date, and sign the back S. L. Cope. The artwork is placed in plastic pockets then sealed in Cardboard envelopes and posted as First Class. Please allow on average up to 1 - 2 weeks for decisions, proofs and artwork, 2 – 3 weeks at busy times.